Yoshinori Kanada’s (an animator involved with Sailor Moon SuperS) official memorial took place last Sunday at Suginami Kaikan Hall. ANIDO has posted photos of the event, along with links to boards for fans to post their condolences to his family, as well as bank account information for fans who want to donate to help pay for memorial expenses. Earlier in statements to the press, the legendary Hayao Miyazaki referred to him as the Head Boss, even though he himself was Kanada’s boss. They worked together on 6 films, from Nausicaa of the Valley of the Wind in 1984, to Princess Mononoke in 1997. He continued to say that usually 2 or more animators take charge of a scene that becomes animated, and that it was typical that tempers would flare up over how many scenes of movement were required, poses, picture issues etc. However, at an early age Kanada had such talent that whenever he was in charge of something, no one ever argued with him! He bought so many new and fresh ideas to anime, especially in series like Space Battleship Yamamoto or Galaxy Railroad 999. Kanada also never treated his work as easy, and he never changed his style, but thankfully, his style was good and always had a grasp on the audience. He had a knack for lightening up the office, and everyone would be laughing for a long time before they were even aware they were working late! After Kanada stopped working for Studio Ghibli, the two exchanged occasional messages, but Miyazaki never knew his private life. He was very confused when he learned of Kanada’s death. He later said that Kanada was legendary, and one of his favorite people. A whopping 1100 important figures in anime, as well as fans, attended his memorial service. 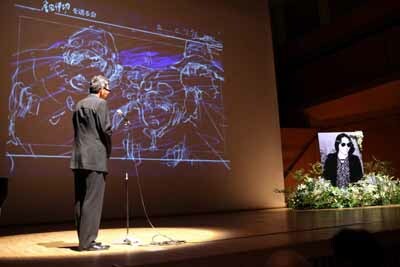 Images, video, and storyboards of his past work were shown. Takashi Namaki, one of Kanada’s oldest friends and Chair of ANIDO, greeted everyone at the beginning of the service. They had known each other for 37 years, and he was saddened that they would not be growing old together, with sorrow in his manner. 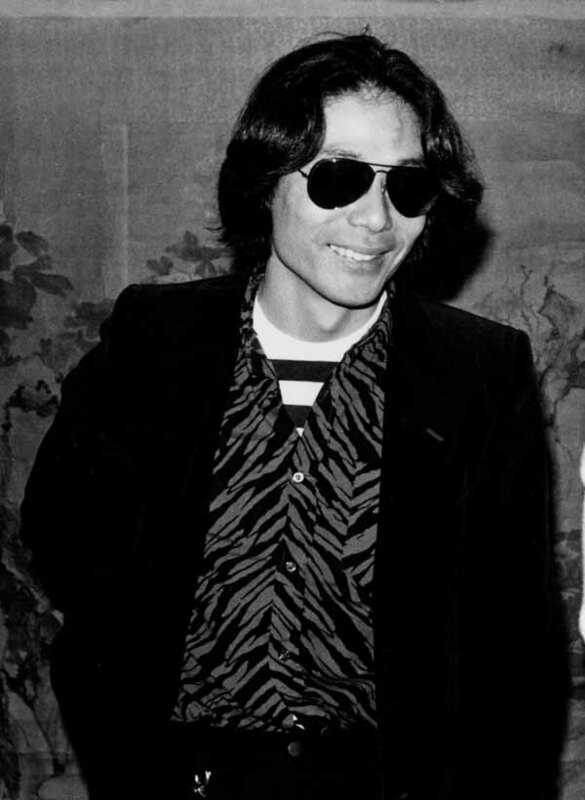 Anime critic Ryusuke Hikawa called Kanada his friend, and an expert in animation and animation techniques. He continued and said that he was the star of all the animators, and that he had a collection of talent in this industry. Hideaki Anno, creator of Neon Genesis Evangelion and the director of Nausicaa, also spoke at the service and said it was too early for Kanada. He wanted to see more newer animation from Kanada, and how he very much adored his work as he looked at his portrait. During the service, many funny stories were shared, and the audience would burst into laughter amongst all the sorrow. Legendary director Rintaro also spoke, and said that he was bitterly disappointed he could not help Kanada-kun more and he should have done more work with him. His wife Makiko, shared a very private video of Kanada singing a song, that had the whole audience laughing and shaking! Makiko finished by saying that he liked to make people laugh, and that she appreciated to hear everyone laughing to ease her grief. She wanted to treat this service as more of a reunion than a send off. The writer of this article ended with a fitting comment: “the hall was wrapped in such a warm atmosphere.” A happy ending to a sad and terrible occasion. We only hope that wherever Kanada-kun is now, that he could feel the warmth of his fans around the world. Anido has posted some very specific guidelines for Yoshinori Kanada’s upcoming memorial on August 30th. We thought we’d share since we found it interesting and many of you might like to read about them! Ticket applications sold out within 12 minutes of them going online, and many fans have expressed interest to wait outside while the memorial is taking place, or waiting in a nearby shopping mall. This is being discouraged as it is not a safe idea for those places to be overcrowded either. There is a stress dress code to be adhered too as well – they have requested dark clothing/funeral attire. Fans will be refused entry if you are wearing colored clothing (especially hawaiian clothing) and they are deeming it disrespectful to cosplay at this service. Fans can’t dress like an animator either. No shorts or T-shirts either. Recording and photography is prohibited. No children under the age of 5 will be admitted. There is also no parking available so everyone is told to use alternative arrangements, including public transportation. Kanada’s family will also be there, and that is why all of these directives for funeral attire are in place. This will not be televised but there will be portions shown in the newsmedia. There will be speeches and screenings of his most important work. Fans who were successful enough to get a ticket should receive it in the mail by the 24th. Many prominent animators and studios are sponsoring this event. We hope that we are able to access some of the reports of this event in Japan and bring you more details – we are sure that he has impacted many fans in North America in the same way he had an impact on his fans in Japan! We also learned that his private funeral and wake were held on the 25th and 26th of July, and he was survived by his wife, Makiko. Once again, our staff sends our deepest sympathies to Makiko, his family, his friends, and colleagues. 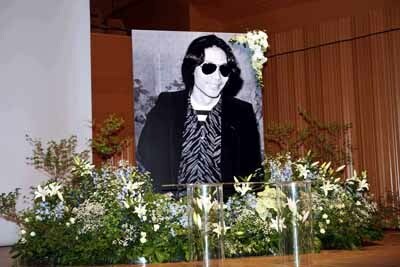 Moon Chase has just learned a few more details regarding a public memorial for Yoshinori Kanada. It will take place on August 30th at Suginami Kaikan Hall. Suginami Kaikan Hall is in part home to an “Animation Museum” since many animation studios have their headquarters in Suginami Ward. It has become known as the “Heartland of Anime”. We think this is a wonderful place to honor such a legendary animator! It is expected that many famous animators will attend, and New Akiba Online reports Hayao Miyazaki will be there as well. Anido has also posted a guest list which includes not only Hayao, but another legendary director at Studio Ghibli, Isao Takahata. Hiroshi Takahashi, president of Toei Animation, anime producer Masao Maruyama, Tezuka Productions President Takayuki Matsutani, and Square Enix President Yochi Wada are also listed to attend. Legendary directors Rintaro and Hideaki Anno will also be there, as well many other animators which worked on Sailor Moon. These are Kazuhiro Ochi (a key animator on Sailor Moon S and SuperS movies), Hideyuki Motohashi (Animation Director of Sailor Moon R and S TV seasons), Keisuke Watanabe* (Key Animator Sailor Moon R TV), and Mamoru Kurosawa (Key Animator on the Sailor Moon R movie, and an Animation Director on Sailor Moon S TV). Some animators which also worked on Yu Yu Hakusho will be attending. As of this writing we cannot say for sure whether Naoko Takeuchi and/or Yoshihiro Togashi will attend. Doors will open at 6:30 PM and the service will run from 7 until 9. Fans are allowed to attend (and admission is free), however each fan which is lucky enough to get a ticket will only be given a maximum of two, as the venue capacity is only 1200. A website will be posted here with details. Children under 5 are not allowed. Events will include memorial addresses from a few of the special guests, and a presentation of flowers. There will be no collection of any kind for fans to send their condolences. We have learned in the last few days, Kanada was a much bigger influence on anime than we ever knew. Yoshinori, we are glad to have had you work on Sailor Moon, even if it was only for one season, and your contributions to the anime and video game industry will last forever. We send our deepest condolences and sympathies to your family, friends, and colleagues across the anime and video game industry. You will truly be missed. *Keisuke is a Key Animator on current hit Gurren Lagann, and recently spoke of how Kanada has influenced his animation, calling himself a heir of the “Kanada System”. Moon Chase has just learned an animator on the SuperS TV series has passed away. 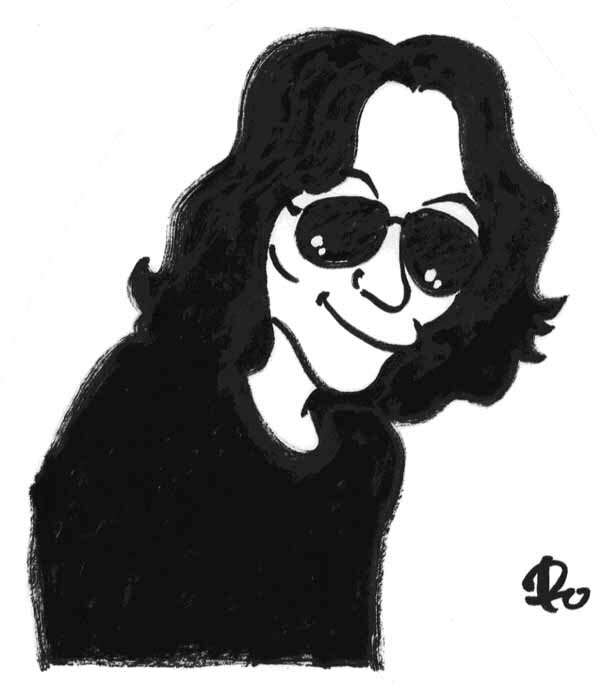 Yoshinori Kanada suffered a sudden heart attack and died yesterday in Japan at the age of 57. Yoshinori was a legend in the anime industry, having worked on many prominent Studio Ghibli films, anime series, and was even a layout artist on the innovative US CGI masterpiece, Final Fantasy: The Spirits Within. He was known to many as a “Superanimator” having been an animator since the 1970s. Yoshinori began studying animation at Tokyo Designer Gakuin College, but later dropped out and began working for Toei Animation. His debut was a magical girl series called Mahou no Mako-chan. 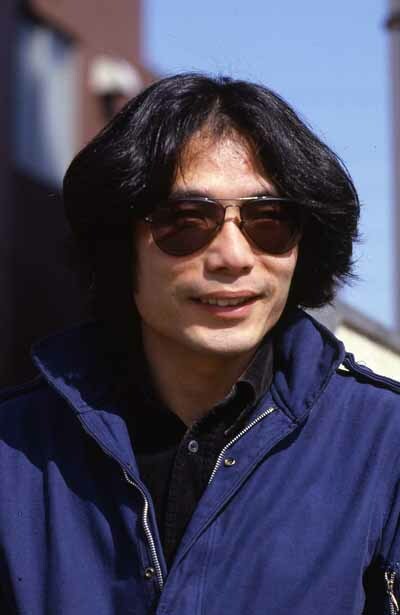 He also worked on the epic series Galaxy Express 999. He later left Toei and worked for a few years as part of an independent animator group under the leadership of Shingo Araki, before moving to Sunrise where he worked on mecha anime such as Getter Robo. Later in his career, he would return to Toei to work on a few series, including Sailor Moon SuperS. In the mid 80s he worked with Studio Ghibli on their biggest films, including Kiki’s Delivery Service, My Neighbour Totoro, Porco Rosso, and Princess Mononoke. In 1998 , he worked as a layout artist on Square Pictures’ Final Fantasy: The Spirits Within, and it was during this time that he was given the opportunity to be in charge of video game production for Square Enix. He worked as an animation director on Final Fantasy XI, worked storyboards for Final Fantasy IV on the Nintendo DS, and directed two Egg Monster Hero games. He continued to work in anime as well, including the 2001 movie Metropolis and Great Sky Demon Dragon Gaiking in 2005. He was also an esteemed member of the animators collective ANIDO, and the Japan Animation Creators Association (JAniCa). Anime News Network has also posted an article, here. He was most influential since his debut, always finding new ways to use animation to thrill viewers, despite the limits of technology at the time. He developed his own personal style, and this later inspired many other animators to do the same. His funeral has yet to be announced, but sources say it will be relatives only. A public memorial will be held at a later date – ANIDO writes that it may be on August 30th, with time and location TBA. Our entire staff sends out our deepest condolences to his family, friends, and colleagues. May he rest in peace.